The Dallas Cowboys had something of a Midas touch for the NFL this season. 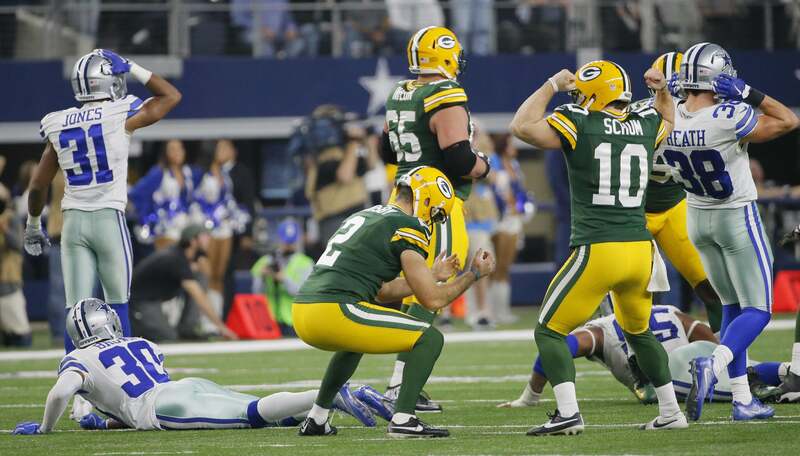 Ratings rose when the Cowboys played, their Divisional game against the Green Bay Packers topping all, and Super Bowl ticket sales fell when they exited the playoffs. The NFC/AFC Championship games were all-out snooze-fests. About the most exciting part of them was more about stats. Tom Brady, arguably the best NFL quarterback ever, got a bright addition to his asterisks-filled career by earning a record-setting seventh Super Bowl appearance. And Matt Ryan, who had one hell of a year, managed to do what the Cowboys haven't been able to; beat the Packers in the playoffs. So yeah, the Falcons knocked off the anointed one (Aaron Rodgers), and the Patriots bested "Big" Ben Roethlisberger, but it wasn't fun to watch. The only real entertainment was seeing Rodgers frustrated, but watching Aaron Rodgers suffer is probably something I found more enjoyable than most; I can't stand that guy. Ryan and Brady were both over 350 yards with 70% or better completion rates. Combined they threw for seven touchdowns on Sunday and their passer ratings were over 127 each. Super Bowl LI has the makings of an absolute shootout, and I can't wait to see it. But in the back of my mind, I'm looking at the games last weekend and thinking, "where's the pass rush?" There were two sacks in the Championship round of the playoffs this year, and both were Pittsburgh sacking Tom Brady. Two! How the hell do we have Super Bowl teams coming off zero-sack games? What ever happened to "defense wins championships?" Indeed, 2016 has been a season of offense. The Patriots have it, as do the Falcons, and the net result is a trip to the Super Bowl. Why didn't the Cowboys get that chance? In spite of how the Championship games went, defense is still important, and the Cowboys are missing a critical piece of D: pass rush. 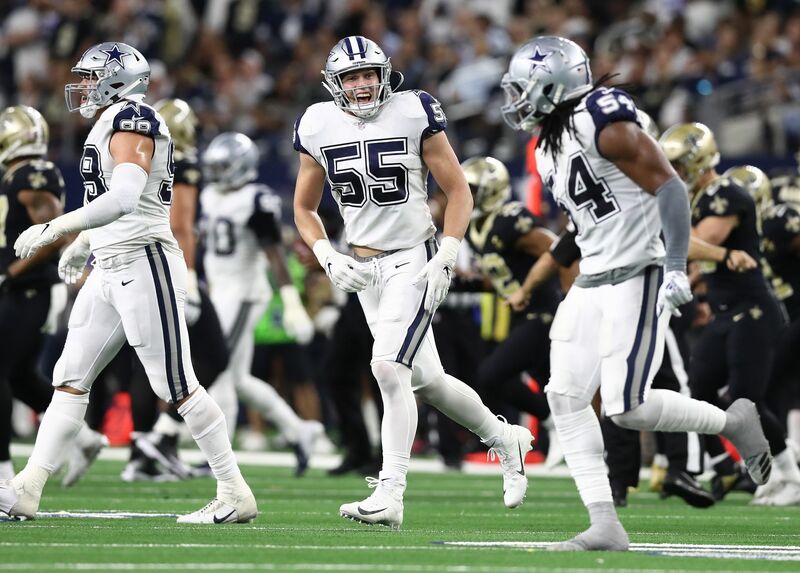 The Cowboys were top-five in scoring this season at 26.3 points per game (ATL 33.8, NE 27.6), but they gave up 19.1 points per game on defense (ATL 25.4, NE 15.6). Sure, they were better than the Falcons but as I said before, Matt Ryan (and Julio Jones) had a hell of a year. When you're scoring an average of 33 points a game, you can afford to give up a little on defense. And that applies to the Cowboys as well. They gave up less than 20 points a game, which is good. And they also scored more than 20 points a game, so they won, a lot. But for me, the lack of interceptions is a problem. The Falcons and Patriots had 12 and 13 interceptions, respectively, while the Cowboys only had nine. Sure, Dallas had a couple more fumbles recovered than the other two teams, but this is a passing league right now, snatching those balls out of the air is crucial. How many times did we see Byron Jones go after a ball only to have it fall incomplete? I said it all year, they need to make Jones catch 30 balls in pre-game warm-ups -- or tar his hands -- just so he could capitalize on being in position. He's good at getting in position. Any guesses what those numbers are? No? Alright, they're the number of passes defended by each team during the 2016 regular season, according to NFL.com statistics. A lot of us were quick to say how well Morris Claiborne was finally playing, or that young Anthony Brown was really showing something, but looking at the numbers for the year, our passing defense was down. How you factor that into the outcome of the season, the effectiveness of the defense, is a matter of opinion. I prefer to attribute it to the pass rush. It is a passing league after all, so getting pressure on the quarterback is essential to success. The Cowboys knew that and did their best, but always seemed to gain any much-needed pressure by sacrificing coverage. An extra man in the box, cornerback blitz', etc..
You can't bring a linebacker to the line without leaving a hole on the field somewhere, you just scheme properly for that hole and move on. The Cowboys gave up an average of 260 yards per game through the air, which amounts to 226 passes gaining a first down, or 53% of all passes thrown against them. Teams like the Giants and Packers had success against us by taking advantage underneath, dinking and dunking their way down the field more than others. Opposing quarterbacks were comfortable, they had time to find the open the receiver, and they completed short passes for positive yards. That resulted in fewer interceptions but more fumbles (during the Run After Catch). Everything is connected on an NFL defense. Every assignment, every read affects the other 10 players on the field. When you're unable to get to the QB with a defensive lineman, you give up yards in other areas of the field, and that catches up with you when you're going up against an experienced quarterback who isn't afraid to take what he's given. I may not like Aaron Rodgers or Eli Manning, but they both understand the value of the short game, and they use it to their advantage. That's why I'm watching ITS Staff Writers Sean Martin and Kevin Brady right now. They're reviewing EDGE rushers for the upcoming 2017 draft on our parent site, Slant Sports. The Dallas Cowboys have devoted a lot of resources to build the NFL's greatest, most talented offense. 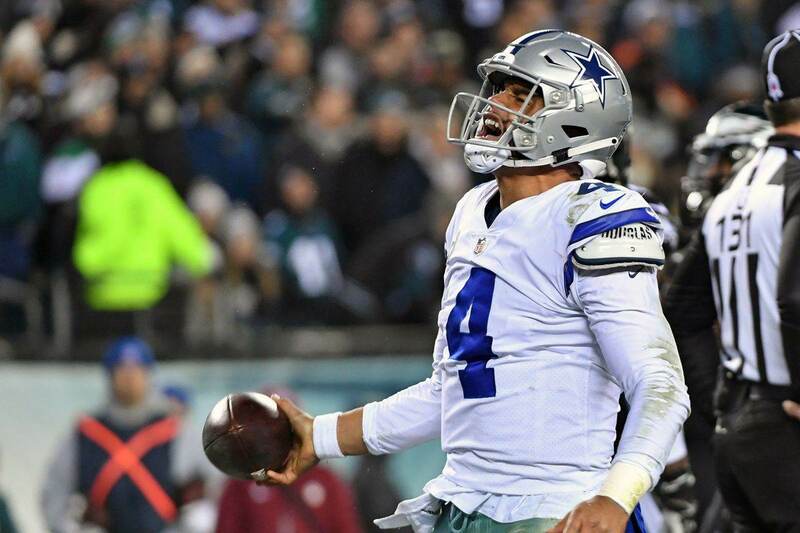 They lucked out with Dak Prescott, but made very carefully calculated moves signing Dez Bryant, Cole Beasley, Tyron Smith, Travis Frederick, Zack Martin, and Ezekiel Elliott in recent years. With a stout offensive line, and great running back, quarterback, and wide receiver corp (not to mention Jason Witten's contributions), the Cowboys have the ability to outscore any team they face. But why leave it to the offense to have to outscore opposing teams? What we're missing in Dallas is a pass rusher. We need a guy who can make quarterbacks nervous. 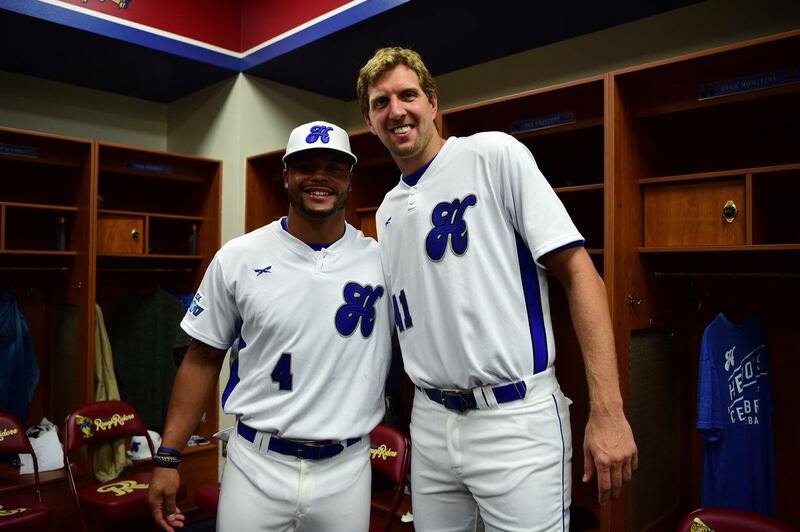 We haven't had that guy since DeMarcus Ware left. Most of us were heartbroken over the loss to Green Bay, but we've bounced back because we know how special this team is, and all the new pieces give us hope like we haven't seen in a very long time. This year is our year; we can just feel it. But if the Cowboys' front office doesn't address the defensive line in a major way, whether via the NFL Draft or free agency, I believe we're destined for more heartbreak next January. What's the biggest single position of need right now?